Nanotechnologies are being applied to the biotechnology area, especially in the area of nano material synthesis. Until recently, there has been little research into how to implement nano/bio materials into the device level. 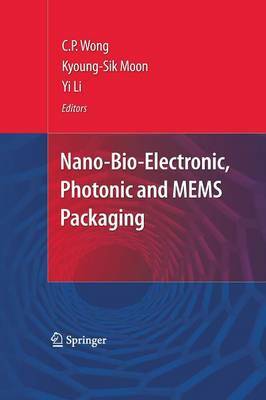 "Nano and Bio Electronics Packaging" discusses how nanofabrication techniques can be used to customize packaging for nano devices with applications to biological and biomedical research and products. Covering such topics as nano bio sensing electronics, bio device packaging, NEMs for Bio Devices and much more.